Thank you very much for joining me today! I have something very exciting to show you! a SNEAK PEEK of a product from the brand new Holiday Catalogue! That's right it comes out in September and I want to show you the new Paisleys & Posies Bundle. 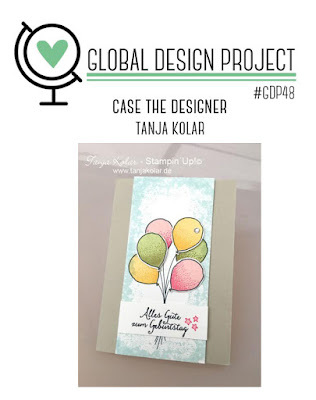 I am a designer on the Global Design Project and this week we are Casing (copy and selectively Edit) the incredible Tanja Kolar! I used Mint Macaron, Smoky Slate and Pink Pirouette for my card today. The only stamp set I used is the brand new Paisleys & Posies Stamp set - including that gorgeous sentiment! It is a wonderfully versatile set and I know that you are going to love it. Stampin' Up!® Demonstrators can order this stamp set now - or if you live in Australia and join my team you can order it now too. If you would like to get a copy of this amazing catalogue coming in September and live in Australia you can here. I love that this set comes in a bundle as it means that there is so much versatility in the one set. Thank you so much for joining me today - I am sure you can't wait to get your hands on more new products! If you have decided you don't want to join up that is fine you can shop for items in the Annual catalogue that just started in a few months ago! There are so many awesome products to collect. If you live in Australia you can shop with me here. 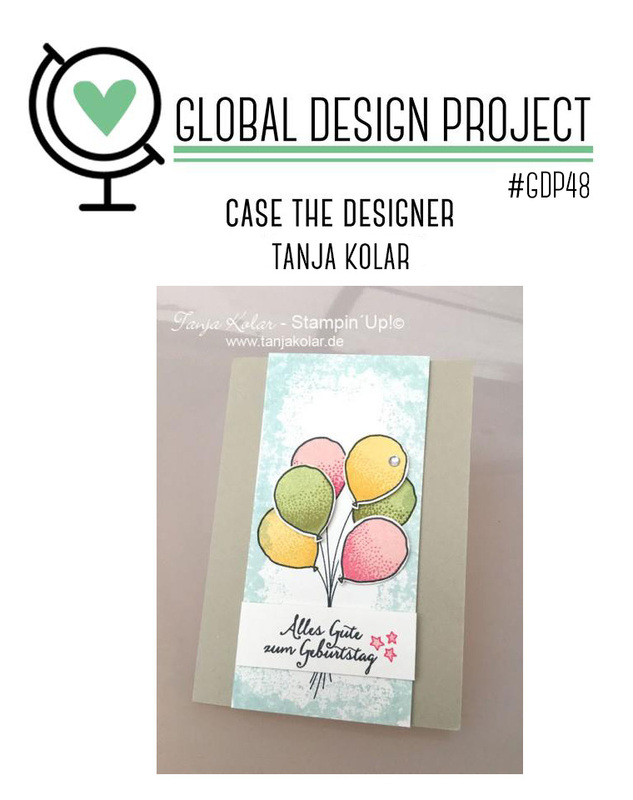 Make sure you head over to the Global Design Project and see the amazing products that the design team and participants have come up with! I really hope to see you play along this week. oh the paislies. Beautiful. I can't wait for mine to come. Paisley is my favorite! I'm surprised I didn't name one of my daughters Paisley! Thanks for sharing this lovely card! Seriuosly? Paisleys? Thanks to you I have now ordered the stamp bundle I nearly didn't even notice! Your card is divine! The grey and pinks and greens - just stop already. It's too soft and beautiful, not my style at all. If only there was a sarcasm font huh? !